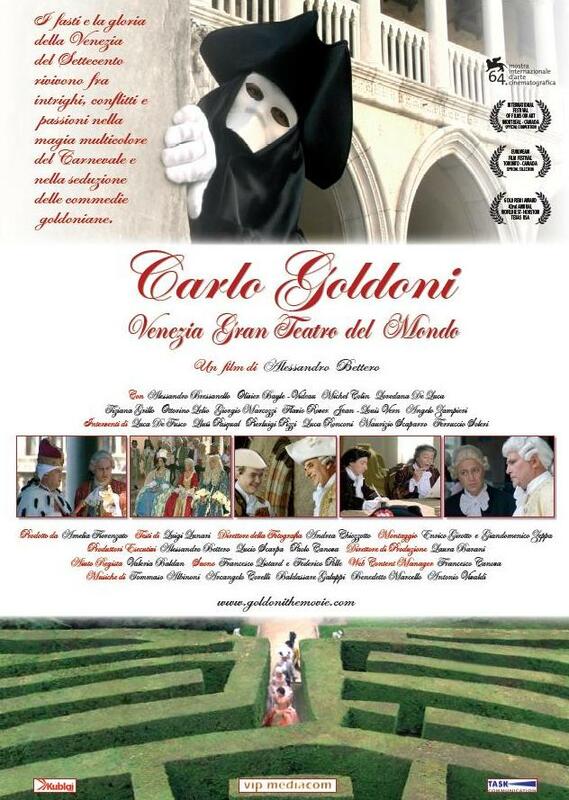 Carlo Goldoni - Venice Grand Theatre of the World" directed by Alessandro Bettero will be presented at the 64th International Venice Festival. Scheduled projections: Wednesday 5 September 2007 (h. 6 PM) and Thursday 6 September 2007 (h. 3 PM), Palazzo del Cinema - Sala Pasinetti, Venice Lido. Special in seven languages of EuroNews on the docu-drama. EuroNews has realized and transmitted a service on the docu-fiction with interviews to Maurizio Scaparro, Ferruccio Soleri and Alessandro Bettero.